In 1962, Remington Arms started manufacturing a bolt-action rifle series called the Remington 700. This model was based on the Remington 722 and Remington 721 rifles that were first released in 1948. 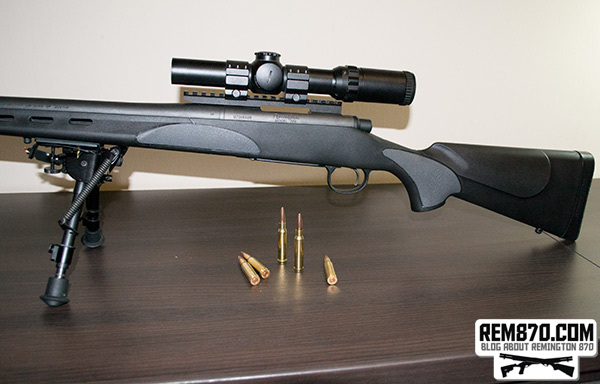 The Remington 700 rifles use a centerfire bolt action. Their caliber determines the capacity of the internal magazine. The ammo capacity of the magazine could be 3 rounds, 4 rounds, or 5 rounds in various versions of the model. Some allow for fast unloading, thanks to their floor plate. However, not all the rifles have floor plates in them. 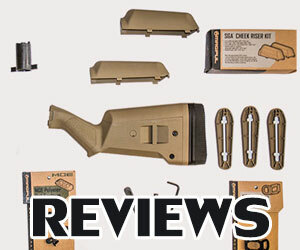 If you want a detachable box magazine, you’ll need to order that especially with the rifle. You can find different Remington 700 versions that include their own unique calibers, stocks, and barrels. Because the Remington 700 is a bolt action rifle, it must be manually operated by hand. It has two forward dual-opposed lugs. The bolt face is recessed, fully enclosing the base of the cartridge. The bolt face contains a C-clip which serves as the extractor and a plunger which serves as the ejector. The ejector is a plunger on the bolt face actuated by a coil spring. The bolt face was constructed out of 3 brazed pieces; the bolt handle, the head, and the body. The receiver is milled from round cross-section steel. 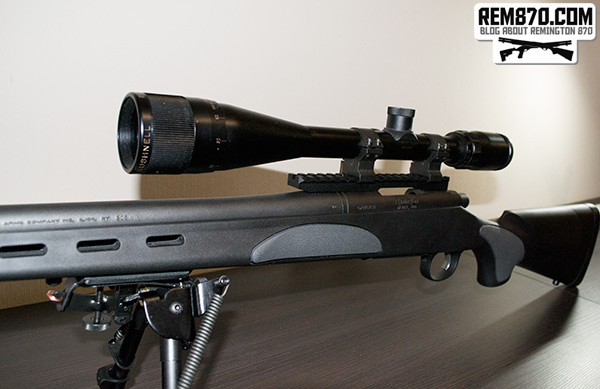 There are many variations to the Remington 700 series, especially with the magazine configurations. Some versions of the rifle include a detachable box magazine, a regular magazine & detachable floorplate, or they have no floorplate at all. Aside from the consumer versions of the Model 700, Remington also designed tactical quality versions for law enforcement and military officers. These may even include accessories such as bipods and slings. What is Remington 700 rifle scope? A lot of rifles have optical sighting devices attached to them called scopes, which are basically telescopic sights. These devices are designed with reticles and they get mounted on top of rifles so that shooters can see through them. That way, you can aim at your target and have better accuracy with your shots. Reticle is another name for a graphic image pattern. This is what you see through the lens of the sight. You will find telescopic sights like these on virtually any system or firearm which needs you to have accuracy in your aim. Some pistols and shotguns have telescopic sights, but the most common types of firearms to have them are rifles. Aside from telescopic sights, there are also laser sights, iron sights, and reflector sights. Some manufacturers will make night scopes by combining optoelectronics with the optical components of a normal sight. At some point from 1835 to 1840, a new invention known as the telescopic rifle sight was documented for the first time. In 1844, there was a civil engineer named John R. Chapman who wrote a book entitled “The Improved American Rifle.” This book talked about a New York inventor named Morgan James who created the very first sights. The factors which make telescopic sights different are the diameter of their objective lens and their optical magnification. If the former has the number 50 on its label, then it means the diameter is 50 mm. If the magnification is 10, then you will see things 10 times closer. Basically, a larger diameter means that the scope can gather more light. 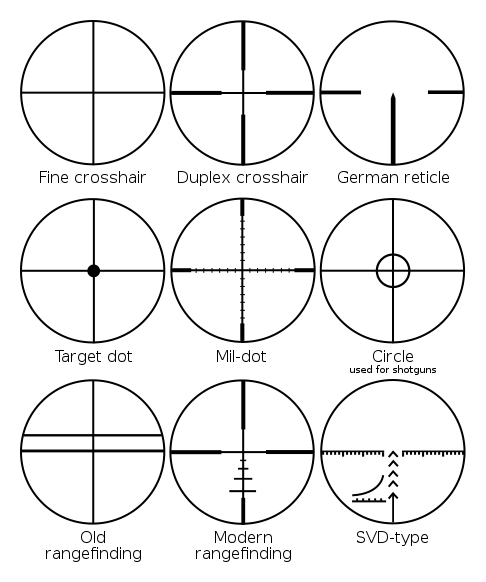 This will make the image that you see through the eyepiece much brighter. If you purchase a sight with a fixed magnification, you should already have an idea of what you’re going to use it for. This will help you decide which objective diameter and optical magnification are right for you. Variable magnification exists with some telescopic sights. This is where the zoom feature needs to be hand operated to control the magnification. This type of magnification is useful if you regularly shoot in different kinds of environments. The flexibility it gives you will accommodate different lighting conditions, targets, and ranges. Plus, you will have a wider view field if you choose a smaller magnification. The variable sights’ syntax can be calculated by subtracting the minimal magnification from the maximum magnification and then multiplying it by the objective lens. For instance, 3 minus 9 times 40. 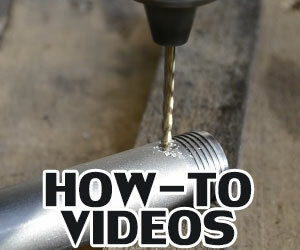 The majority of American scopes contain 1-inch wide main tubes. Because of this, 1-inch rings are used for them. The main tubes of other scopes might be 30 mm, which will require 30 mm rings. You can attach rings to firearms with a variety of different bases. First, you must understand the specifications of your base so that you can choose the right sized rings for your scope. The thickness of the barrel and the diameter of the objective lens will determine the rings’ height. Other factors include the bolt lift, the diameter of the ocular bell, the type of action, and the size of the action. Magnification — To determine a telescope’s linear magnifying ability, you divide the eyepiece focal length amount into the objective lens focal length amount. If the magnification is 10, then the image you see through the eyepiece will appear 10 times nearer. 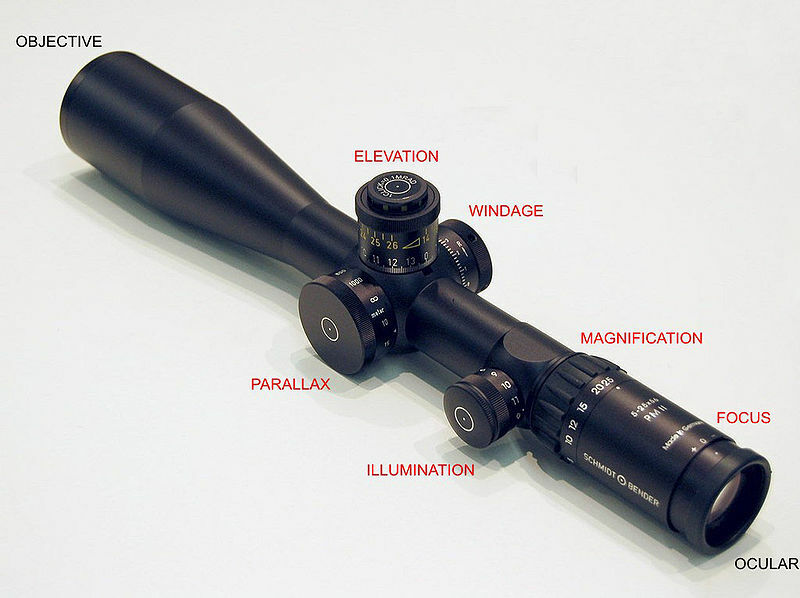 The magnification amount is dependent on the specific telescopic sight application. For instance, a higher magnification amount will reduce the viewing field in the eyepiece while a low magnification amount will reduce to the shakiness of the image. Objective lens diameter – Light is needed for an image to generate in the lens. The more light you have, the brighter the image will be. If the objective lens has a greater diameter, then you will have more brightness to form the image. Field of view — The optical design of the telescopic sight is what factors into the viewing field. The manufacturer will write this as a linear value. For instance, the size of the width in meters that is visible from a distance of 100 meters will determine this value. Exit pupil — The objective lens gathers light for the telescopic sight. This light becomes concentrated into a beam known as the exit pupil. The diameter of the exit pupil is calculated by the following formula: the objective lens diameter / magnifying power. If you want the most light possible to brighten the image in the eyepiece, the diameter of the exit pupil needs to match the diameter of your eye’s iris after it is fully dilated. This should be around 7 mm in size. Of course, as you get older, this size will get reduced. If there is a big exit pupil, then the eye is going to have plenty of light to see the image clearly. The larger the light cone is in the exit pupil, the easier it will be to place your eye. Then you won’t need to worry about a blocked light path causing part of the image to be darkened. Also, if you need to aim at something quickly, it will be easier to find the target with a big exit pupil. Therefore, if your exit pupil is very narrow, then you will need to position your eye just right to find the image that you want. A significant number of Europeans will wait until dusk or night before looking through their telescopic sights because they will have larger pupils at this time. During the daylight hours, the exit pupil will only be between 3 mm and 4 mm. This is not good enough for shooting purposes. You need a bigger exit pupil and telescopic sight because it gives you more flexibility and comfort. Eye relief — The distance between the exit pupil and rear eyepiece lens is the eye relief. This is the space in the back of the eyepiece where the shooter positions their eye to see the image. There is more eye relief whenever the eyepiece’s focal length is longer. The eye relief of most telescopic sights is between 25 mm and 100 mm (or more). If the sight is going on a handgun or scout rifle, then the eye relief must be lengthy to see the image clearly. Shooters like eye relief that is long because it reduces the chances of eye injuries from the recoil. Plus, it is easier to keep the eyepiece firm too. If you normally wear eyeglasses, then you will definitely want to pay attention to the eye relief because your eye is at a greater distance from the eyepiece. This means you will need a lengthier eye relief so that your whole viewing field can be seen. There are various reticles available for telescopic sights. Some are standard crosshairs while others are more complicated reticles which give shooters the ability to accurately determine their target’s distance from them. This allows them to figure out the bullet drop as well as the windage from the crosswinds. Shooters can estimate the size of the targeted objects and their range when using a scope that is equipped with a reticle. Most reticles these days are made to be rangefinders. The reticle known as the “Mil-dot” is the most popular reticle for range finding purposes. In its view field, there are two crosshairs which contain tiny dots at intervals of a thousandth of a radian. Many law enforcement and military organizations like NATO love this reticle. If you practice with this reticle long enough, you will be able to figure out the size of objects, the range of objects, and be able to compensate for the wind drift and bullet drop to maintain accuracy at ranges that you know. You can illuminate both reticle types in the sunlight or in dimly lit environments. If your reticle is being illuminated under low light conditions, you must adjust the brightness. You don’t want too much brightness because that will create glare in your eye. Then, you won’t be able to see your image clearly under lowly lit environmental conditions. Why does this happen? Well, when your eye gets light shined directly into it, the pupil closes. You will find that virtually all illuminating reticles will give you settings for adjusting the brightness to accommodate the surrounding light of your environment. There is an LED powered by a battery in the reticle. This is what provides the illumination. However, you can use different sources of electric light too if you want. The light goes straight through the scope. Once it reaches the surface in back, the light gets reflected. Most reticles use a red color because it looks the most natural to the shooter at nighttime. You can use this method of illumination in dimly lit environments or during the daylight hours. Another light source you can use is a radioactive isotope. This will help you aim through your illuminating reticle in an environment with low lighting. Some examples of these types of sights include the Elcan C79 Optical Sight tritium and the SUSAT. When the Trijicon Corporation creates firearm optics for hunting and military purposes, they use tritium as the base material. Their ACOG sights are an example of this. Tritium is basically a radioactive light source which can last up to 12 years before it gets replaced. The brightness of the tritium slowly diminishes over time due to the decay of the radioactive material. Fiber optics allow the light of your environment to be gathered and supplied to a reticle. That way, it can be illuminated during the daytime. Reticles with fiber optics will take the amount of light which exists in the environment and use that to determine the brightness that you see in the reticle. The Trijicon Corporation puts fiber optics in a few of their ACOG sights and AccuPoint sights, which have other illumination methods for dimly lit environments too. When the objective image is behind or in front of the reticle, you will see the crosshairs in different positions on the main target as you place your eye position at various areas in the back of the ocular. Because of this, the parallax will give you problems with your aiming and cause you to miss your target. This happens when the parallax is not adjusted properly on the telescopic sight. If you want to prevent parallax from causing you problems with your aiming, there is a special mechanism for parallax compensation that you can attach to your telescopic sight. This mechanism features an optical piece that you can move around. That way, the image of the objects can be projected from the optical system at different distances while the reticle crosshairs match them precisely. The second way is to mount the internal lens in front of the adjustable reticle plane. 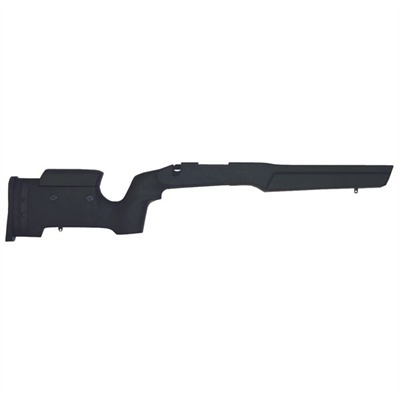 This will allow the telescopic sight to accommodate the issues with the parallax. However, it is more difficult to construct this method, even though users of adjustable parallax telescopic sights like it more. Certain rifle scopes have a special feature called ballistic elevation, also known as bullet drop compensation. The benefit of this feature is that the gravity effect is compensated for when you shoot the bullet at various distances. This is also called bullet drop. The ballistic trajectory needs to be tuned based on the cartridge and firearm combination you are using. The air density and muscle velocity are predetermined here. There are many adjustment controls that can be included with a telescopic sight. The sight’s ocular end can have a diopter adjustment, which is basically the focusing control. The purpose of this control is to help you get a sharper image of the reticle and object. The reticle’s elevation adjustment control. To stop yourself from accidentally turning the adjustment knob to under or near zero, you can set the elevation adjustment controls to “Zero-stop.” For long-range telescopic scopes, this is typically 100 yards (or 100 meters). If you have a long-range scope, it will be very useful because you will be able to confirm that the elevation knob is down completely. That way, you won’t be confused about the elevation of the knobs. The control for the magnification is a ring that you turn to adjust the magnification level. There are numerous levels of magnification to choose from. The reticle’s adjustment control for illumination will let you alter the level of brightness that you see in the crosshairs that are already lit up. There hundreds of good scopes on the market. Some of them are more expensive, some of them are cheaper. You pay for the brand, for the reliability, magnification and for the additional features. 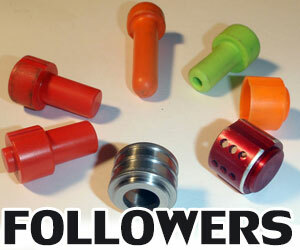 Some of the most famoust brands are Vortex, Leupold, Nightforce. They produce military-grade scopes for the Remington 700. You can’t go wrong with them. The 1-6×24 Strike Eagle from Vortex includes the Brownells mount. This is the fastest way for your AR-15 to have a scope that has great versatility and is easy to operate. The Strike Eagle from Vortex contains a view with no magnification on the lower end, but you can zoom up to 6 times the normal image if you want. 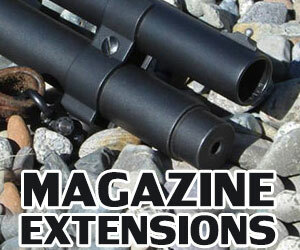 This versatility will accommodate various situations, like sighting targets up close or far away. One of the best Remington 700 scopes for the money. The AR-BDC2 Reticle has an eyepiece with quick focusing ability. The glass reticle is illuminated in red and features a target dot in the middle which has a halo surrounding it. This is supposed to help you sight quickly. To make sure your lenses are aligned properly, there is an aluminum tube as well as an adjustment feature. The nitrogen gas feature provides resistance to fog. The reticle is also shockproof and waterproof, thanks to the sealed O-ring. Dust won’t be able to get in either. This can be used for a variety of purposes, such as tactical, home defense, removing feral hogs, hunting, or any situation where you need to target something quickly. Variable optics with 1x allows AR rifle shooters to have versatility and speed whenever they’re dealing with targets up close or far away. 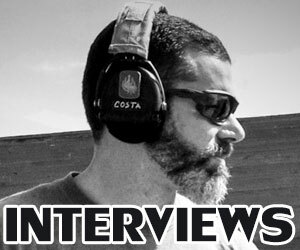 When you use the 1-6 x 24 Strike Eagle from Vortex, you are getting these benefits. The Strike Eagle is suitable for keeping a crosshair on a wild animal or shooting at the range. Its lenses are completely coated with multiple layers to give you the brightest and clearest image possible, even in dimly lit conditions. With a zoom range of 6x, you can target any object or living thing quickly no matter how far away or close to you they are. 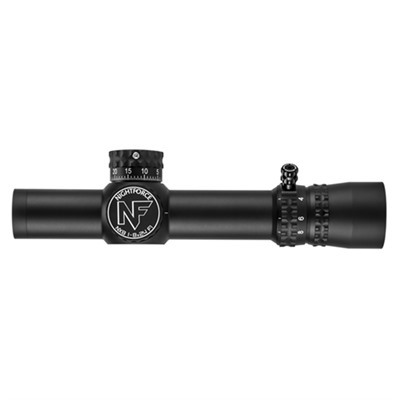 This Nightforce Optics scope is the most durable optic around. The features it was made with allow you to engage targets at a close to medium range. It has the best durability, weight, and size specifications to give the owner everything they need. When you change the power setting to the lowest it can go, you will get a 1x magnification for the optics and a red dot which lets you target things quickly. The CR2032 battery supplies the power to the Nightforce Optics NX8 1-8x24mm Scope’s illuminating reticle. You will also find the original “ZeroStop” branded elevation adjustment as well as a Power Throw Lever in the optic. Some of the best and the most reliable scopes on the market. The scopes called “Leupold Mark 6” contain main tubes that are 34mm and have ZeroLock elevation dials that are mil-based. These are meant to reduce the chances of accidental adjustments from being made. 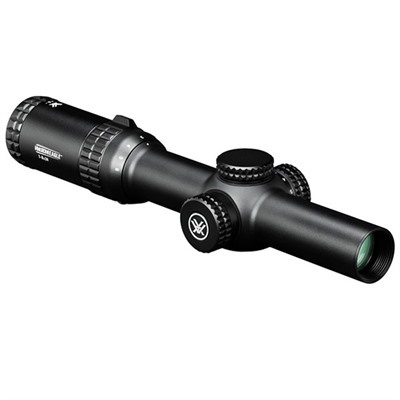 You can get this scope with various reticle styles which are on the FFP, also known as the front focal plane. That way, the subtensions stay consistent at every magnification. With this scope, you can shoot with both eyes open while the magnification is at 1x. Of course, if you need to take shots at greater distances, you can zoom the image up to 6 times. You can get the illuminated Tactical Milling Reticle with it. The CMR-W 5.56 reticle is suitable for M855 ammunition that is used at a distance of 900 yards. As for the CMR-W 7.62 reticle, it is adjusted for .308 loads of 175 grain going up to a distance of 1,200 yards away. With this reticle, you will get the 3-18x44mm scope. You can also get the scope with the Horus H58 reticle or the TMR with illumination. If you have a TMR, you will need to use the battery which is included. TMRs have no FFP. The 1-6x20mm measures at a length of 10.3 inches and has a mounting space of 5 inches. The eye relief is 3.7 inches and the weight of it is 17 ounces. As for the 3-18x4mm reticle scopes, they have a length of 11.9 inches and a mounting space of 5.3 inches. The weight is 23.6 ounces, and the eye relief is 3.8 inches. The DMR Iii is under 13 inches long and still performs better than most scopes on the market today. Its long-range precision is superb, and it doesn’t even lose short-range abilities either. This new reticle is illuminated and gives you precision at both short and long ranges. As a shooter, you can be fast in your target engagement no matter how much light there is outside. The illumination control of the scope is merged with the parallax focus on the side, using one little knob to adjust the setting easily. With just one finger, you can change the magnification level with the ThrowHammer Lever. For each revolution, you can get 10 mils of adjustment from the elevation turret. With the DMR IIi scope, you won’t need to do much adjusting. You can spend more time looking for your target because of this. 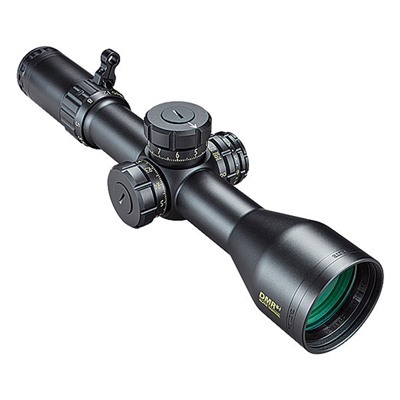 Very good choice, one of the best scopes for the Remington 700. The features on the new DMR IIi scope add up to more time looking through your scope and less time adjusting it. The only thing more fun than drilling a target 1,000 yards away is doing it faster and more efficiently. 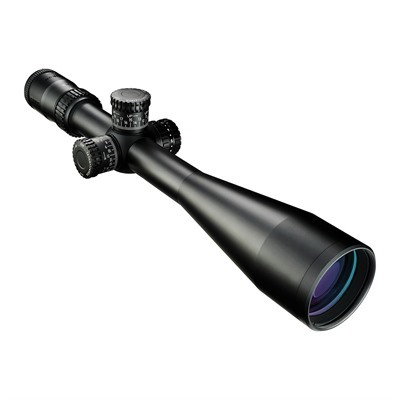 This scope is made for precision and includes many innovative features. It is great to use in competitions because it will give you more confidence in your long-distance shots. Plus, you will have continuous eye relief because you won’t need to worry about the recoil hurting your eyes or head. The sight imagery is also spectacular no matter what position you are in. Between the elevation turrets and high-speed windage, the 6-24x50mm has a clean operation with an ability to pinpoint your target fast. The Nikon branded FX illuminating reticle is included with the Black FX1000. It is made to give you the best sight imagery possible, thanks to the subtensions which correct the windage, ranging, and holdover. It can be calibrated in MRAD or MOA. The markings of the reticle remain proportional with one another while adjusting the magnification. You can choose from ten different brightness settings. This ensures that you can see the target all the time, no matter what kind of ambient light there is around. The Black FX1000 features clear Nikon glass which provides great image clarity. There are also precision controls which help you get better accuracy, no matter what the range is.